Our warehouse is designed to cater for all your commercial pallet storage. Getting your goods from point A to point B in the quickest and safest way possible, our haulage team in Auckland offer complete transport solutions, from large freights to smaller goods. 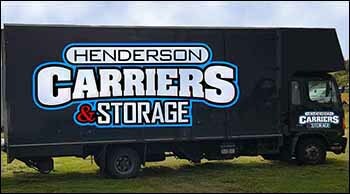 Henderson Carriers Ltd promises dedicated service that won't break the budget. Contact us for a free quote! At Henderson Carriers Ltd, we take pride in serving the haulage and transport needs of our customers and have been doing so since 1982. Our friendly and highly experienced Auckland team will deliver your goods safely and on time. From advice and consultation to haulage and delivery, you can rest assured that you will receive value for money every time. The staff at Henderson Carriers Ltd take great pride in meeting and exceeding your expectations for customer service. All goods are treated with the required level of sensitivity and we ensure that your freight will arrive at its destination in the same condition it left. We've been here since 1982, and combined with using only the most trusted equipment and transportation, means that your freight will receive the extreme care it needs. Our staff in Auckland stay up-to-date on the latest developments in transport methods and products guaranteeing appropriate and efficient service for all projects.